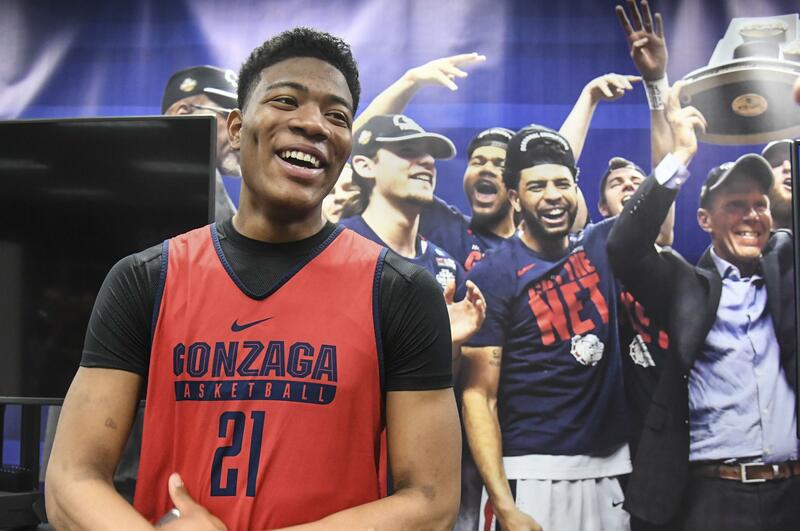 UPDATED: Sun., July 2, 2017, 6:39 p.m.
Gonzaga’s Rui Hachimura turned in his second consecutive double-double at the FIBA U19 World Cup, leading Japan to a 76-73 victory in Cairo. Rui Hachimura had 15 points, 12 rebounds and three assists in the Group B victory for Japan (1-1). In a Group A game, Gonzaga’s Killian Tillie and France (2-0) beat New Zealand 80-69. Tillie had five points, five rebounds and two assists. The United States (2-0) won its Group D game, defeating Angola 109-68 with Josh Okogie leading the Americans with 17 points and 10 rebounds. Former Gonzaga player Przemek Karnowski had four points on 2-of-4 shooting with three rebounds in five minutes of play in Charlotte’s 84-77 loss to Indians in an NBA summer league game at Orlando, Florida. Published: July 2, 2017, 6:35 p.m. Updated: July 2, 2017, 6:39 p.m.